However, exploring exactly how these things work & how to do them is exactly what we hope to better understand by working together. Join now and take these next steps with us! 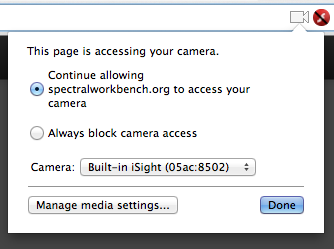 By default, Spectral Workbench chooses the top row of pixels as a cross-section of your spectrum image. If there is variability in the brightness of your spectrum image, vertically, as shown below, you may be able to select a different cross-section which does not have clipping. Go to More Tools and choose "Set sample row", then click on the image at a point where the brightness is lower. Sometimes, when using the "waterfall" interface in live capture, you don't quite catch that moment when a flare of light is just perfect. You can use Set sample row under "More tools" on the Analyze page to choose the best cross-section of the image, or use Auto-detect brightest spectrum and the website will try to do it for you. 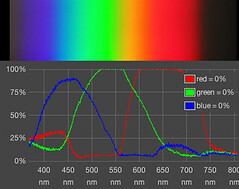 Learn to calibrate your spectrometer with a compact fluorescent light (CFL). This shows some interfaces which have since been updated and revised, but the basic steps are the same. Use the Compare button on any spectrum page to search for and compare other spectra, which will appear in red. 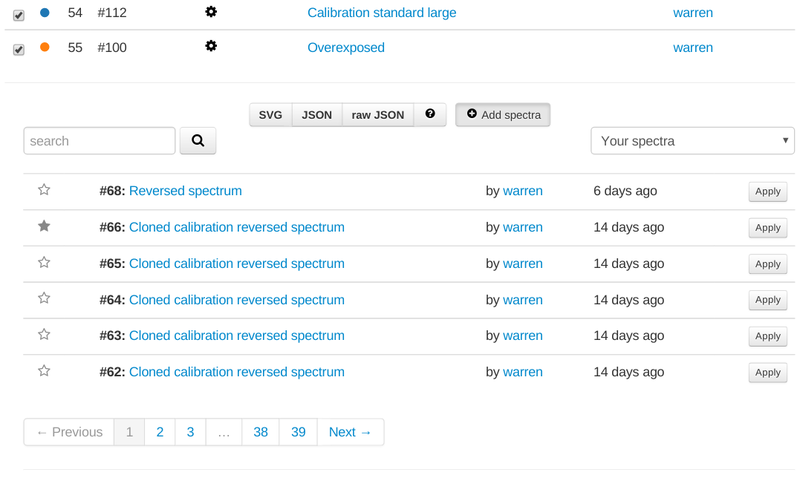 From an existing set, click "Add spectrum" at the bottom for a search interface for finding and adding spectra. SpectralWorkbench.org is a web-based software suite for collecting spectra, using your Public Lab DIY spectrometer. 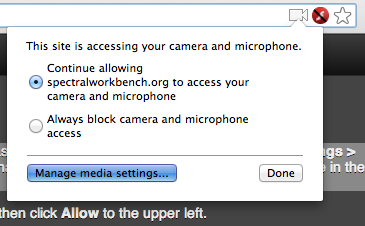 Once you have an assembled spectrometer connected to your computer or smartphone, go to https://spectralworkbench.org and click Capture. To use the full functionality, and especially on iOS, you should first log in using your PublicLab.org username. You'll then be able to connect to your spectrometer (desktop or Opera Mobile) or upload a spectrum. Give it a title, tags, and description. To use the full functionality, and especially on iOS, you should first log in using your PublicLaboratory.org username. You'll notice that many other spectra on the site have a scale showing "nm" or nanometer units on the horizontal axis. To get scaled data, you must calibrate your spectrometer. There are several kinds of calibration but here we're talking about wavelength calibration, which allows your spectrometer to display a wavelength value for any color of light it sees. Luckily, this is easy. 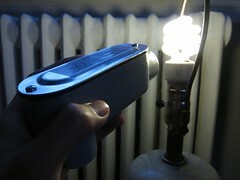 1) Find a fluorescent light bulb -- preferably a compact fluorescent bulb you can put your spectrometer very close to. Point your spectrometer at the bulb -- if it's too bright, point it at a piece of white paper or wall which is brightly illuminated by the bulb. 2) You'll see an image like the above example; if you're on a computer, it may appear horizontally. The lines you see are from mercury in the bulb, and since we know what wavelengths they should be, we can use this to calibrate your device.